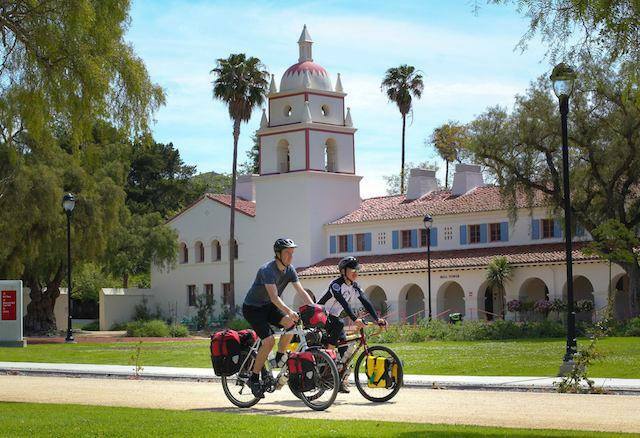 Join me (Darren Alff – the Bicycle Touring Pro) on the weekend of May 18-19, 2019 for the 2nd annual “Bikes & Burritos” Overnight Bicycle Tour in Camarillo, California. We’ll be cycling from my parents’ home in Camarillo to the beach and then spending the night at Sycamore Canyon Campground on the shores of Point Mugu/Malibu. 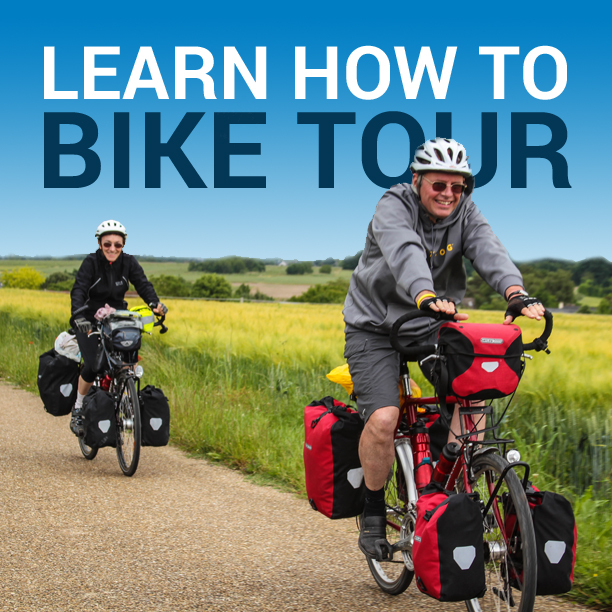 This is your opportunity to cycle with me, meet other Bicycle Touring Pro readers, and enjoy a scenic overnight bike tour along the coast of Southern California. This bike tour is now full and there are no more spots available. Sorry! The 2018 “Bikes & Burritos” Overnight Bicycle Tour was such a success… we’ve decided to do it again! 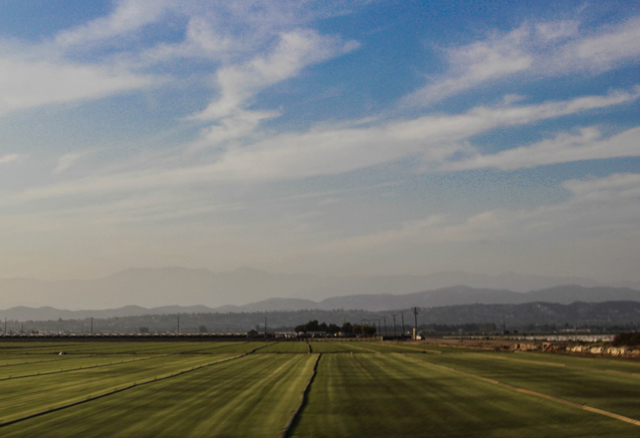 May 18 – 12:00 PM: We’ll meet in Camarillo, prepare our bicycles and then take off on a flat 20-mile bike ride from the farmlands of Camarillo to the scenic seascapes of Point Mugu. We will be cycling slowly, traveling at a pace that everyone can enjoy and making multiple stops along the way. Then we’ll make camp for the night in Sycamore Canyon Campground, which is situated just a short walk away from the Pacific Ocean. After setting up camp, we’ll walk to the beach before returning to our campsite for some Mexican burritos from my favorite local restaurant (Chipotle). In the evening, we’ll sit around the campfire, talk and tell stories. May 19: After a good night’s rest in our tents, we’ll pack up our bicycles, eat a quick breakfast, and then cycle 20 miles back to Camarillo. If this sounds like a bike tour you’d like to participate in, please reserve your spot today! Unfortunately, there are no more spots available on this unique overnight bicycle touring experience in Southern California. The cost to participate is $97 USD per person. This fee covers the cost of the campground, firewood, one Mexican burrito from Chipotle, a continental breakfast, and the transport of camp chairs/personal items between Camarillo and the campground. 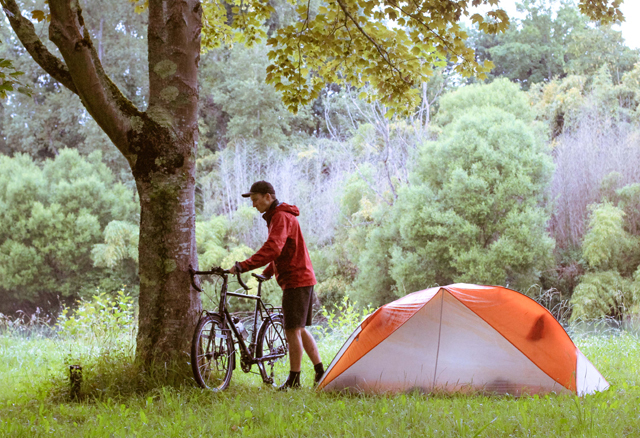 You are responsible for getting to the tour’s starting location in Camarillo, California and you must bring your own bicycle, helmet, clothing, camping equipment, camp chair, snacks, water and/or anything else that you want to bring. Feel free to come alone, with a friend, family member, co-worker or loved one. IMPORTANT: If you sign up for the tour, please note that there are NO REFUNDS if you decide to cancel. If you sign up for the tour and then cancel at the last minute, you are preventing someone else from participating in the tour. Therefore, no refunds will be given. We will be doing the tour no matter what the weather. I look forward to meeting you and I can’t wait to share my passion for bike travel with you and the others on the 2nd annual “Bikes & Burritos” overnight bicycle tour! This entry was posted in Bicycle Touring Pro Articles, California, Featured Articles, Main Articles, Main Featured Articles, North America, Uncategorized, United States, Website Announcements and tagged 24 hour overnight, bike tour, california, california bike tour, camarillo, catered, chipotle, malibu, overnight, overnight bike tour, point mugu, point mugu bike tour, s24ho, short bike tour, southern california, sub 24 hour, sycamore canyon, sycamore canyon campground. Hope I got it all in correctly. I was rushed while at work after seeing only a few spots were available. It’s California! It almost never rains. haha! I’m not too worried about it. I think it will be fine. I’ll be back in the USA in late August and am hoping to do another mini bike tour/meetup in Colorado. But nothing planned for California right now. What a great overnight trip. My wife and I registered as soon as we saw your email. We are really looking forward to it. There is nothing like a bike tour and sharing stories with like minded cycle tourist. Darren, what are your thoughts about “Bikes, Burritos, and Dogs”? If I were to attend, I would be bringing my 2 dogs along in their trailer, but I wouldn’t want to spring this on you unannounced so I thought I’d run it by you first. Well, the tour is all filled up now. There are no more spots available! I’m not sure, however, if the campground allows dogs. I don’t think they do! I’m not sure though. I’d have to look into that first. DOGS must be kept on a leash no longer than six feet and under adult supervision at all times. Please clean up after your pets. Dogs must be confined to a vehicle or tent at night. Dogs are not permitted on trails or dirt fire roads. Darren, how many riders are we? Sure hope it stays dry this time. Looking forward to this trip in May. I think I mentioned our last one was last May, but I was wrong. It was March. The Bikes & Burritos tour for this year has already filled up. All 16 spots have been filled! Look forward to seeing you again.